It’s hay season here on the ranch, and this frosty treat brings a lot of smiles to my guys working out in the hot sun. If you prefer, you can sweeten to taste with sweetener, honey, or agave nectar. Add fruit, and sweetener to smoothie maker or blender and blend until smooth. Pour into glass and place in freezer for about 20 – 30 minutes or until frosty, and starting to freeze. I have also made this with frozen fruit, and it is just as good on a hot day. 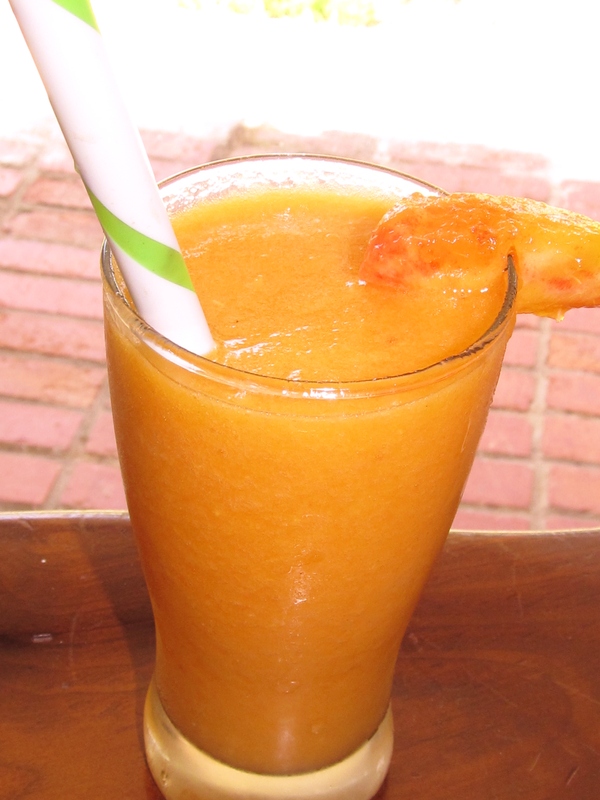 Instead of oranges use mango, strawberries, or 1 Tablespoon of grated ginger. You can also blend up the fruit and pour into ice cube trays and freeze. Then use the cubes for tea. I also like to make fruit popsicles. If you don’t have the popsicle molds, you can use the small paper cups with a popsicle stick or plastic spoon or fork frozen in the center for the handle.